Emirates continues to be a trailblazer in technology, recently empowering its airport staff with the latest mobile application designed to deliver the best service to customers. Called the Journey Manager, this custom-designed application enables the airline’s team of airport staff to get real-time information that will enable them to respond to customers’ needs with greater efficiency, regardless of where they are in the airport. 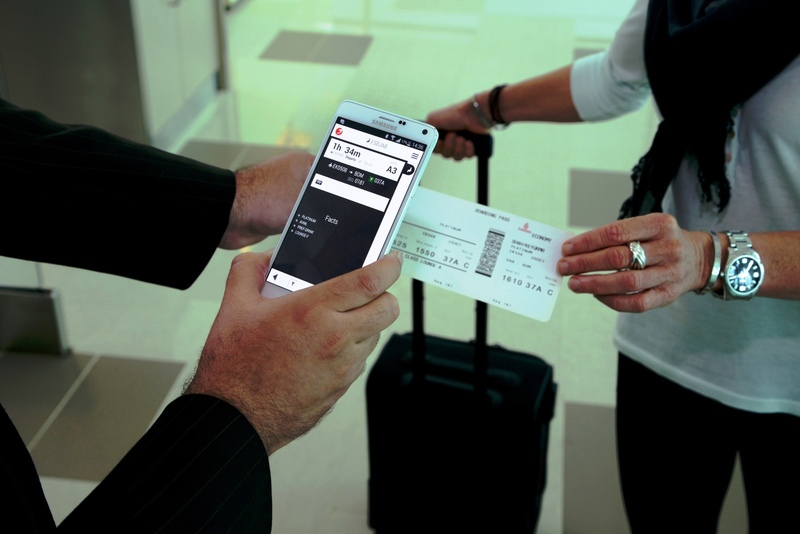 Developed by Emirates in cooperation with Samsung and Etisalat, Journey Manager runs on the recently launched Samsung Galaxy Note 4. Emirates has empowered its airport staff with the latest mobile application called Journey Manager allowing access to get real-time information that will enable them to respond to customers’ needs with greater efficiency wherever they are at the airport. “Emirates has always been in the forefront of innovation, and our aim is to continue delivering excellent and more personalised service to our customers. The size and scale of our operations at the airport can be a challenge, especially during peak times where we can see up to 140 departures and arrivals in a four hour window,” said Mohammed H Mattar, Emirates’ Divisional Senior Vice President, Airport Services. Emirates’ managers and supervisors using the application now have increased operational awareness. At a glance they are able to check the status of both inbound and outbound flights, which helps them to assess potential areas of concern and better manage operations, especially in the event of a disruption. Emirates airport staff use Journey Manager at the transfers area to assist transit passengers. Up to 20,000 transit passengers go through transfers desks during peak times in a six-hour period, with 40% of these customers queuing to get information about which gates their next flights depart from. By scanning a passenger’s boarding pass using the device, staff can readily provide customers the most up-to-date information on gate assignments – thus significantly reducing the need for people to queue. Transfer staff are also using the application to check on delayed flights or where passengers have short connection times. The application allows staff to identify these passengers and pass on the information to the gate supervisor at the connecting flight. Over the coming months, Emirates will continue to roll out the Mobile Journey Manager among its 2400-strong airport staff with the vision of making it accessible at all customer touch points, including check-in, re-booking flights, and requests for seat change.